An underwater robot is preparing to take the plunge once more after its last trip through the Marlborough Sounds was cut short by a do-gooding fisherman. 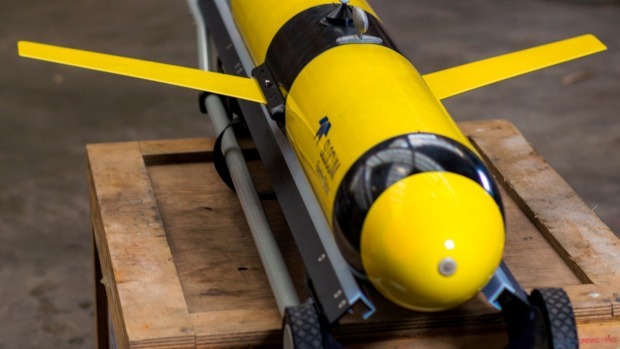 Niwa’s ocean glider will take water samples from Cook Strait to Farewell Spit for up to four weeks, and only surface to transfer data and confirm location. The glider will be launched from Queen Charlotte Sound on Friday to sample temperature, salinity, oxygen, light, turbidity and fluorescence. Samples are taken as the glider uses buoyancy to move through the water without touching the seabed. * Editorial: Why do we need both MetService and Niwa to provide weather forecasts? Coastal physicist Dr Joanne O’Callaghan said the project aimed to capture the state of the ocean every season, but an incident with a fisherman in February meant no data was collected this summer. It had only been in the water for two hours before a fisherman scooped it up thinking it needed to be returned, she said. While unfortunate, O’Callaghan said she understood the fisherman’s curiosity and ensured people at the top of the South the robot was collecting useful data. “It broadens our knowledge of the ocean from a physical perspective. It is teaching us more about what we don’t know,” she said. The fisherman was just trying to be helpful, O’Callaghan said. The project had been ongoing for the past 18 months and was co-ordinated from Wellington, O’Callaghan said. She added the processed data could have useful implications for industries such as tourism and fishing. The project was part of Sustainable Seas, which aimed to investigate marine ecosystems and engage New Zealanders with environmental information.